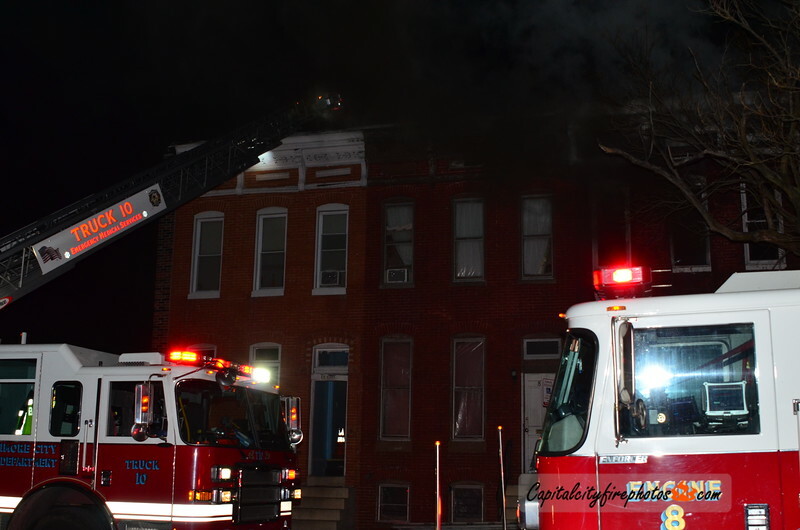 At 2115 hours, Engine 8 radioed Communications requesting the box in the 800 block of N. Stricker Street for heavy smoke showing from a 2 story dwelling. Box Alarm 8-1 was filled out for Engines 36, 14 (RIT), 52, 55, Trucks 10, 16, Rescue 1, and Battalion Chiefs 3, 6. Engine 13 became available fro a medical run and added to the box. Battalion Chief 3 assumed command and requested the working fire dispatch (Truck 23, Air Flex 1, Safety Officer Car 5). Engine 36 reported fire through the roof in the rear. Companies stretched and operated 2 lines knocking down the bulk of the fire in about 10 minutes.